Robotic Process Automation (RPA) is likely to change the way humans carry out their mundane tasks that took many hours. Human labor is increasingly being replaced by RPA, leading to some incredible advantages including enhanced productivity, higher precision, and savings in costs. RPS platforms ensure optimum customer care and support to their clients at feasible rates. 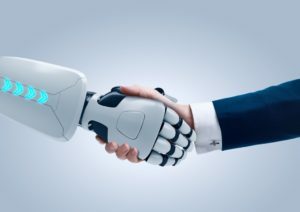 The best part is that RPA can easily integrate into existing hardware and software, which means there is no need for upgrading the existing system. To put it simply, RTA is a software that’s programmed like a human operator that can understand computer programs in the same way as humans do. This automation software can be easily integrated into the existing business processes and operations. RPA can be employed effectively in job sectors that involve huge volumes of repetitive tasks and that do not need any decision making. The big plus of RPA is that it can enhance the output and accuracy manifold. 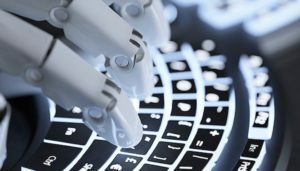 RPA thus will not replace humans but will work in coordination with humans, which will make it a smart choice for businesses that cannot bring about full automation in their data entry processes because of its high cost and time involved. RPA will add value to organizational activities by making sure that people and software co-exist and complement each other. Data entry indeed requires human judgment. However, RPA can enhance the speed and accuracy of the process by supplementing routine manual data entry actions with a degree of automation, which makes it a win-win situation for both employees and employers. Ensuring faster integration and accurate processes for human performance in manual data entry. Enhancing data integrity throughout the process to help avoid errors and promote quality and consistency. Better optimization of productive time of the personnel as they complete their task easily. Robotic Process Automation can be applied to various data related applications like data cleansing, data extraction, data enrichment, and data mining. Outsourcing partners can effectively incorporate RPA into the entire data processing cycle to ensure a perfect flow of data right from entry to report generation. Probably the biggest advantage of applying RTA in data entry operations is that it ensures a very high degree of accuracy especially in areas like re-keying which are prone to errors. By ensuring automation of part of the processes, RTA enables humans to take diligent decisions during the manual data entry cycle. RPA thus will not pose any threat to the labor force but will enhance productivity and accuracy in the operations. RPA can effectively chop down the various complex tasks into actionable segments, thereby helping companies to take optimized decisions. RPA is a technology that can enhance the human capability by complementing their tasks all the while ensuring the advantage of the state of the art technology that will add pace and pulse to the data entry operations. If you are looking for an outsourcing partner that employs RTA technology to outsource your data entry processes, then Data Entry India Outsource will be a safe bet considering our track record and hands-on experience in ensuring the best data processing results. For more information, call us or send an email and leave the rest to us.